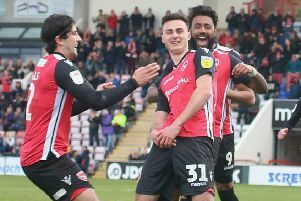 Morecambe will travel to Rochdale in the Northern Area quarter-finals of the Johnstone’s Paint Trophy. The Shrimps have been handed the trip to Keith Hill’s side, currently sixth in League 1, after the 1-0 win at Bury on Tuesday night. The tie will be played in the week commencing November 9.